My enthusiasm is shared by many; when I am providing a design proposal for my clients, many ask to have a cacti of some form included in the plantscape. Unfortunately, many offices that I visit do not have near enough light available to support this type of plant. Cacti are native to the Americas, with a few species being found in Africa and Sri Lanka. Common to all is their preference for habitats subject to frequent droughts. Cacti have adapted well to this environment. Their spines (a form of highly modified leaf) reduce air flow around the plant, thus reducing water loss. Cacti store considerable amounts of water in their stems, which can expand to hold more when available. They have a shallow root system, which allows them to take up water quickly from the surface of the soil. There are almost 2000 species of cacti, ranging in size from under a centimeter to over 20 meters in height. Many species can be grown successfully indoors and cactus gardens are increasingly popular. Purchase plants from reputable greenhouses and follow the care instructions carefully. Cacti need lots of light. Direct sun from a west or south window works well, but they will thrive in lower light areas supplemented with strong fluorescent lighting for several hours a day. Cacti require a very airy, porous soil to survive long term. 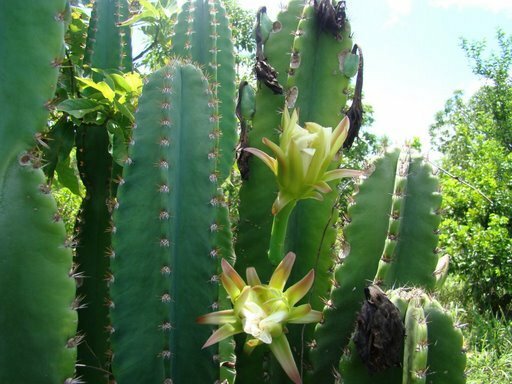 Purchase premixed cactus soil which contains a high porportion of sand. Allow cacti to dry thoroughly between waterings. The amount and frequency of water varies greatly depending on the environment. More water may be required in the winter months, when air humidity if low.